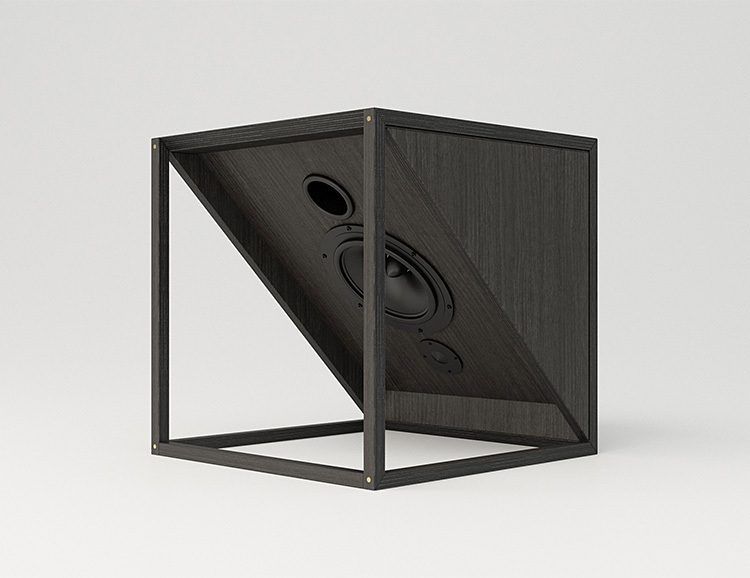 The M1 from Jofre Lora Audio is a geometric, designer end table with a built in hi-fi sound system. Made of Baltic Birch, it outputs 50-watts through a 3 speaker full-range bi-amplified system and featuring a design that will blend into your decor, it supports streaming from iTunes, Airplay, Spotify, Pandora, iHeart Radio, & Tuneln. It turns on automatically when it detects you playing music or can be controlled from 2 minimalist touch sensitive buttons mounted on the top. Available in black or natural.